I’ve been to Persona on various occasions for various treatments. Staff are lovely and friendly & the service is impeccable. I would highly recommend. Seriously impressed with the filler I had done today. No more droopy mouth already. Amazing. Had my lips done today by Dr Lisa. Thank you,I love the results!! I was really nervous but my mind was put at ease, Dr Lisa was really reassuring and really gentle it didn’t even hurt. Nice professional clinic, lovely staff. Cant wait to come back for other procedures soon. Extremely professional and friendly staff, with customer care and aftercare that is second to none. I cannot recommend Persona highly enough! 5 stars. Lovely clinic with very professional staff. Had my tear troughs filled and I am absolutely over the moon with my results. Thoroughly recommend. Had a number of service at Persona now from Botox to facials. Always been an absolute delight, great service knowledgeable ladies. Highly recommend. Dear Lisa, I am writing to you to thank you & your team for everything you have done for me. I feel 10yrs younger & my confidence is at an all time high! I highly recommend you & Persona. Thank you. As I have begrudgingly passed the wrong side of 35, my top lip has got thinner and thinner so after much deliberation, I decided to take the plunge and have my top lip slightly enhanced. After a thorough consultation, I went ahead and had the treatment. Five minutes and six tiny injections later and I hadn’t felt a thing. I didn’t look like Mick Jagger, but I did have some slight swelling which Dr Lisa assured me would be gone in a day or so. It did and I adore my new lips. I had my first HydraFacial on Tuesday and would recommend it. I felt relaxed and my face still feels great. I will be having more treatments. Thank you Hayley for a wonderful experience. I have not been to Persona for many years and yet when I went along for my appointment today I was still welcomed in the same friendly fashion. The staff are always really friendly and knowledgeable. I had a spider vein removal treatment to my legs and I ma thrilled with results already, Thank you Dr Lisa. I felt that I was looking a little tired & needed a lift as skin was starting to sag a little & look a little heavy. It’s not like the fillers that give you instant results, with this you have you be patient but the results are well worth the wait! I first came to Persona in 2014 for the removal of pigment with laser skin rejuvenation; I must admit I was nervous. However, the treatment was clearly explained every step of the way and I felt confident in the practitioner’s hands. 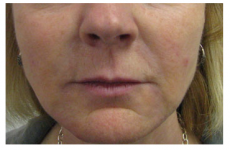 With fantastic results I went on to have a course of HydraFacials which has kept my skin in top condition. Hayley’s expertise on products is second to none and she has never failed to recommend products that really work. After four years input from Persona my skin looks better than ever. I cannot recommend enough the Persona team. I feel valued by every member of staff from the moment I walk through the door and I leave looking fab. What more can I want? I’ve wanted a hydra facial for ages having heard so many good things, I was lucky enough to have won one in persona’s December raffle. It was my first time to the clinic and I will 100% be going back. My hydra facial was done by Olivia who was very informative about the products being used and talking me through the whole process. Olivia was extremely professional and I’ll definitely be returning to persona again. Such a lovely friendly clinic with relaxed vibes. Persona are brilliant, I went to get a correction from fillers I had somewhere else and they done just that. Just shows cheap is not the best so thankyou to the Dr who corrected me and thanks to the staff for a lovely service and experience. Persona Medical offer a professional service and their staff are very friendly, caring and knowledgeable. I have experienced both sides of their service from laser treatments, hydra facials and aesthetics to improve a scar on my face. 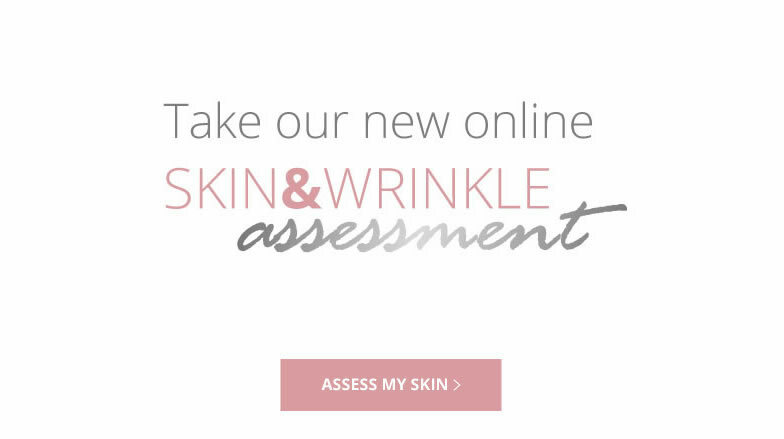 I have always been thoroughly happy and satisfied with my results and can highly recommend them to you but, decide for yourself, a free consultation means you can discuss your issues, and decide the best treatment for you. Have been going to Persona for the past 14 years, i think that speaks for its self. Always up to date with new treatments and a pleasure to see all the friendly staff. Definitely 5star. What a gem of a place! Wish I’d found it sooner. 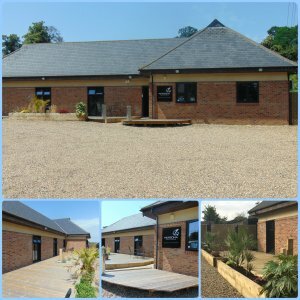 All the staff are so friendly and helpful and Dr Lisa was so lovely and really accommodating to individual needs. I read that someone had travelled 7 hours to see her and I completely understand why. Could not recommend highly enough. I’m a lady of 65years and have had a brilliant result from my 1st radio frequency and sublative laser treatment. I was beginning to give up hope of improving the eye area. Even my Botox and Fillers weren’t doing the trick. It immediately lifted the eye brow and over the next few weeks the skin really tightened and lost its crepyness. I’ve had regular aesthetic treatments all my life but this is truly fantastic and has made me feel so much better about myself. I’ve just had my second eye treatment and decided to have my neck done too.